Enjoy the beautiful water-view by coming to stay with us for a while, we offer weekly, monthly, and seasonal rates. We are a quiet RV resort catering to the adult RVer yet also welcome children. First time staying at Northpoint Shores RV resort, we stayed for 2 nights. 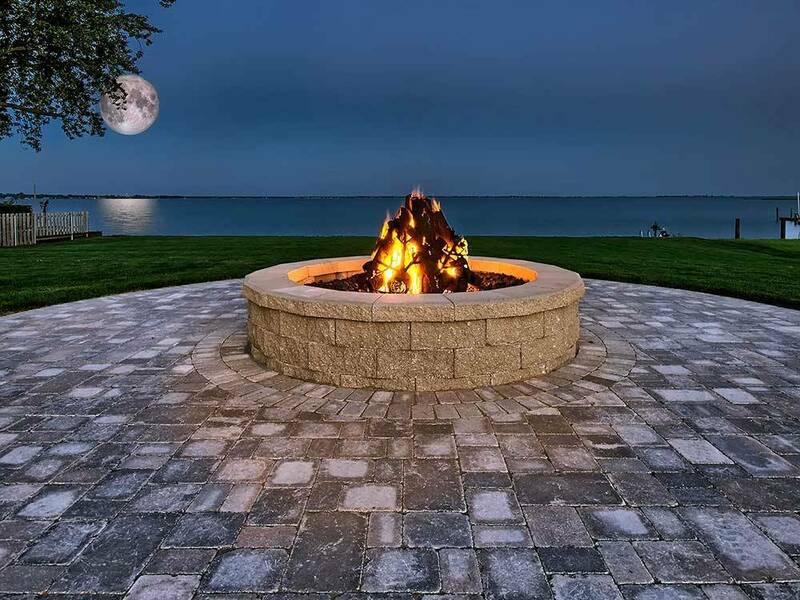 Very clean and well taken care of facility, Great view of the lake and the community fire pit with seating is great. All sites are full hook up, and well laid out. Water pressure was at 48 psi. The concrete pebble pads are level. It's a small park 36 sites total I think. No play area for kids, which was ok with us since none of our grandchildren were with us. We did not use the bathrooms, we use our own, but they are very clean from what we could see. Very quiet and pleasant area. We will stay there again. My wife and I have been looking for a RV resort with 250 miles that we could escape to from time to time. We have found it. Northpointe Shores RV Resort is the perfect spot for us. With the view of the lake close by, the proximity to Detroit and other cities makes want to return. I must caution you that this resort is brand new and therefore lacks things people with young children would like, but for us older folks it has all the things necessary. The sites are paved and level the hook ups are within easy reach. We can't wait to go back. From jct I-94 & M 19: Go 2-3/4 mi SE on Hwy M 19, then 1-3/4 mi E on M-29 (L).